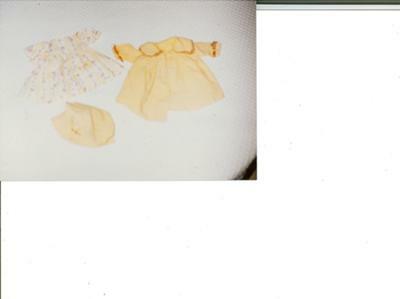 My mother is hoping to find the Madame Alexander doll that wore the clothes in the attached picture. She said she received it for Christmas in the late 1930's or early 1940's, probably 1944 or earlier. The doll had red hair and was 10 to 15 inches tall. She work a golden yellow fur-trimmed coat and bonnet and a white dress with yellow flowers.